Food In Focus: Health Benefits of Eating Onions! 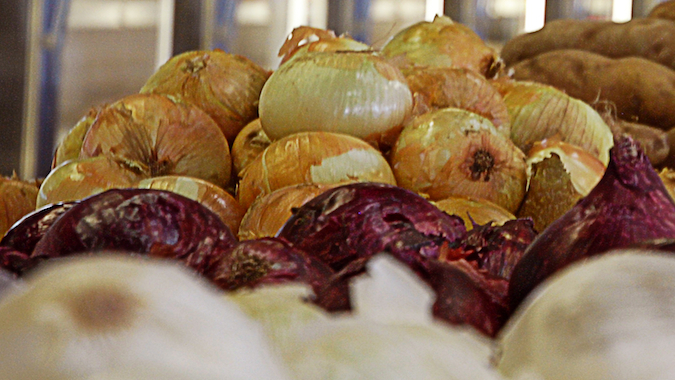 Onions; they’re chopped, diced, or sliced, and found in various assortments of recipes. But did you know that there are significant health benefits for including them in your meals? Let’s start with the facts. Onions, scientifically identified as Allium cepa, belong to the lily family. (The same family as garlic, leeks, chives, scallions and shallots!) There are over 600 species of Allium distributed all over Europe, North America, Northern Africa and Asia. Onions are normally used in meals/recipes, as spices, or as medicine, and there are over 120 different documented other uses! The World Health Organization (WHO) supports the use of onions for the treatment of poor appetite and to prevent atherosclerosis, which is a hardening of the arteries due from plaque build up. In addition, onion extracts are recognized by WHO for providing relief in the treatment of coughs and colds, asthma and bronchitis; in fact, one onion extract was found to decrease allergy-induced bronchial constriction in asthma patients! The sulfur compounds in onions help to detoxify the body! Onions are a rich source of quercetin, a potent antioxidant!